Is she a quiet, reserved person who opens up to only select few people or is she the out-going fun-loving, life of the party kind of girl? Does she love dressing up in the latest trends or is she a jeans and tee person or an eco-friendly-linen kind of person? Since the perfume speaks loads about the wearer, it is essential to choose something that fits in well with her personality. An outdoorsy person would probably like a fresh, aquatic or citrusy fragrance like the Elizabeth Arden Mediterranean while the introvert might prefer something soft and floral or woody like the Yves Rocher So Elixir Purple. Age plays a very important role in determining the kind of fragrance a woman would like. Are you buying a perfume for your teenaged sister or for your mother or for your significant other? Younger girls would like more sparkling fruity fragrances endorsed by their favourite pop star while older women would prefer something classic and timeless. A woman in her 30s-40s would perhaps like a more glamorous fragrance like Armani Code. Factor in her likes; does she like the beaches and the salty sea air? Then summery, aquatic fragrances would be the right choice for her. Is she a mountain girl? Get her something woody or musky with a floral blend. An urban city girl? She would love a floral yet sensual fragrance like Blvgari Notte Pour Femme. A girl who loves trekking and the outdoors might prefer a light fruity-floral fragrance while one who loves architecture and ancient ruins might like something intense and earthy. 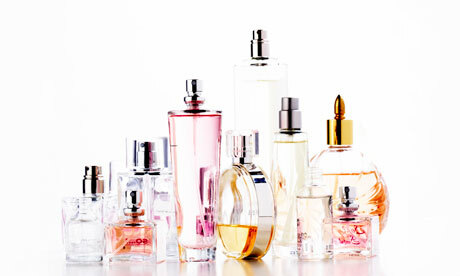 If you are planning to buy a perfume for someone, find out what her current favourite ones are. You can then check out fragrances that have similar notes. For example, if she likes fragrances with citrusy notes, you can ask the sales person to show you fragrances with such notes. And if you know that she simply can’t stand certain aromas you would do well to steer clear of those. Of course, if you’re getting it for your significant other, also make sure that you like it as well and that it doesn’t annoy you when she wears it. Even I am an elizabeth arden fan!! I didn’t realize that there were so many potential considerations needed when it comes to picking out a perfume. I’ve been looking at getting my girlfriend some perfume as a gift for no real good reason, but I’m not quite sure what to pick out for her. She likes the outdoors, so I thought it was interesting how you mentioned that a light-fruity fragrance could be good for her. Maybe I’ll go that route and see what she thinks of it!